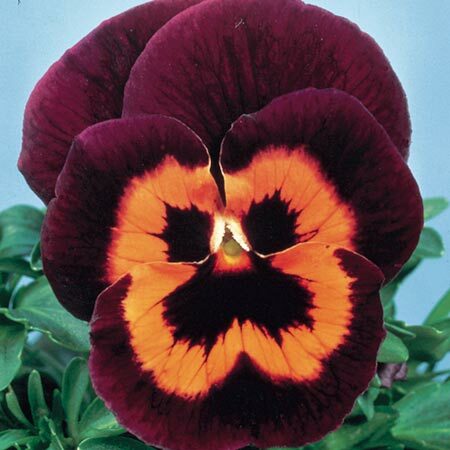 The pansy with the exotic, velvety flowers. Deep maroon centres to the blooms with an orange band bisecting a further maroon to the edge of the petals. A real novelty. Height 15cm (6"). HB/HP - Hardy biennial/Hardy perennial. Ideal for beds and borders, patio pots and containers, hanging baskets. Prefers full sun or partial shade. Keep flower buds picked off until the plants are well established. Dead-head plants to extend the flowering season.